Good Morning Everyone!…I have been asked to share something with you all on this busy 22nd of December…one of my NEEDFUL THINGS posts was about precuts…and Fat Quarter Shop has made a fun, easy runner out of my Lakeside Gatherings mini charms…You could get this runner done for a present still if you needed something super quick! 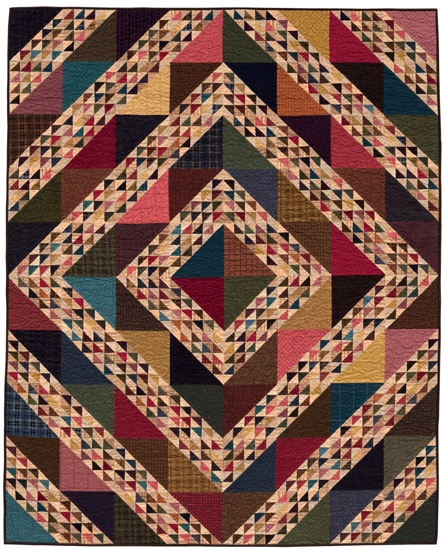 Fat Quarter Shop has made the runner in a few different fabric lines…and has given everyone the pattern for FREE…now if you don’t have 3 of the same fabric line…you could do 3 different ones!!! It would be really scrappy and fun! Click on the following links for all the important things that FQS has provided for you for this project!! Thanks Kimberly and all the FQS girls…for using Lakeside Gatherings for one of their promotions!!! FQS and Primitive Gatherings have another collaboration coming soon in 2015!!! I love Kimberly’s videos! 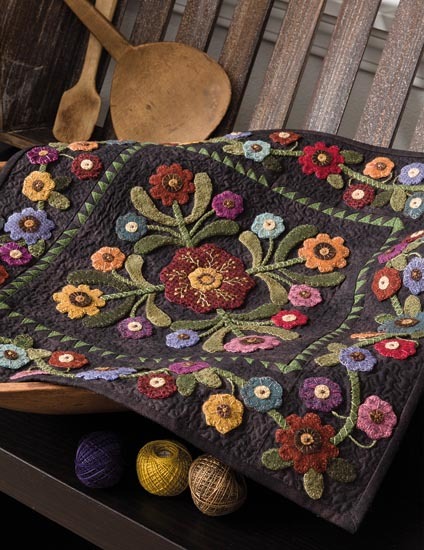 Scrappy quilts are my favorite…love the runner. I can’t wait to see what you two will be coming up with next. This is a great after-Christmas project! Easy to follow video. Another project to add to my list of must do ‘s. Looking forward to the next project you and Kimberly have for us! What a nice surprise ! I love reds but this blue looks like a perfect change for me combined with some tea dye muslin strips. Thank you ladies for sharing the pattern with us and Merry Christmas to all! Thanks to the FQ ladies for this pattern and video. What fun, any time of the year! Quick and easy pattern. Thanks! May just be what I’m looking for for a quick lap quilt! Thanks for the pattern. It will be nice to have a quick project for the first of the year. Thank you! I love this pattern. The fact that it is a “freebie” makes it a fun surprise! Thanks for the free pattern. 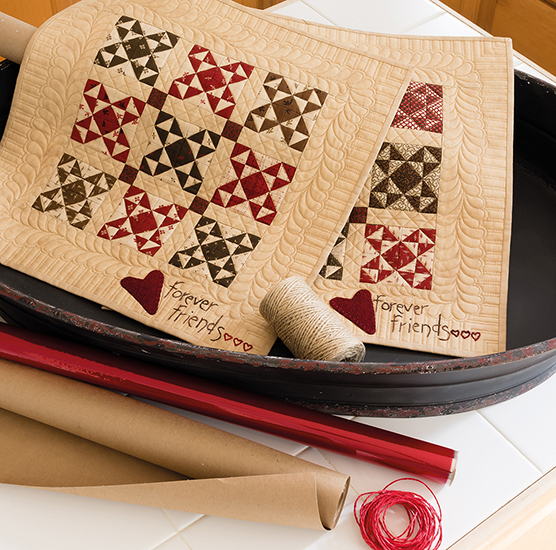 I love table runners because they are fast and make great hostess gifts. 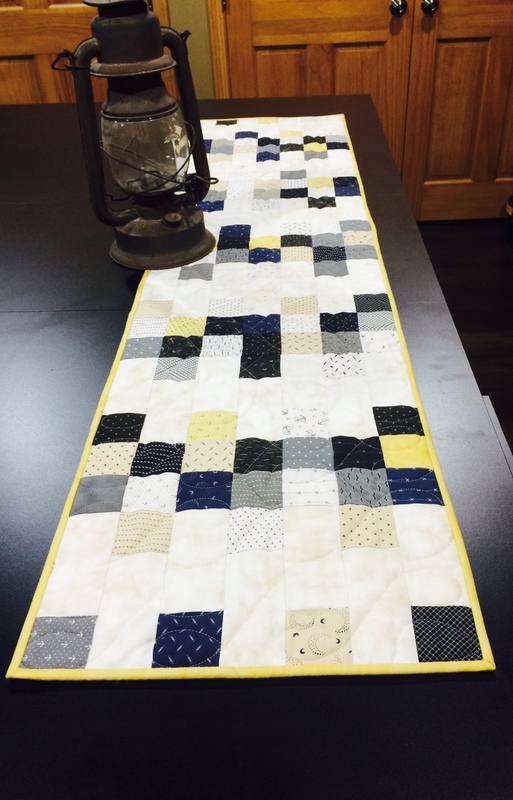 Even with machine quilting – I think this could be done in half a day easily. I am a Marine Corp wife! My husband is now retired. While on active duty, I settle 22 homes. Always cross country movies. I knew nothing about quilting until a southern wife had a baby right before I did. She was given about a half dozen hand made quilts for her one baby. Each one was so beautiful and different. I knew I wanted to learn how to do that. Fast forward 5 kids later we are station at Camp Pendleton. There was a sign ups from other wives teaching things. Saw a sign up for a quilting class. That was my beginning. However, my first project was done will my husband was deployed and getting shot out!! I was at home with 2 teen girls, 2 young sons, an 18 year old pregnant daughter and a mom sick in the hospital. My quilting class and project was the only thing I did for me. It saved my mind for going over the edge. 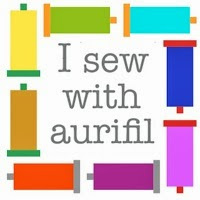 Now my closes friends I are also quilters. Well, I don’t need a metal bobbin holder, but I love the idea of a pattern. AND, I love the snow falling on my screen. It makes me a bit homesick for Michigan where I grew up. Thanks for doing that little extra for us.